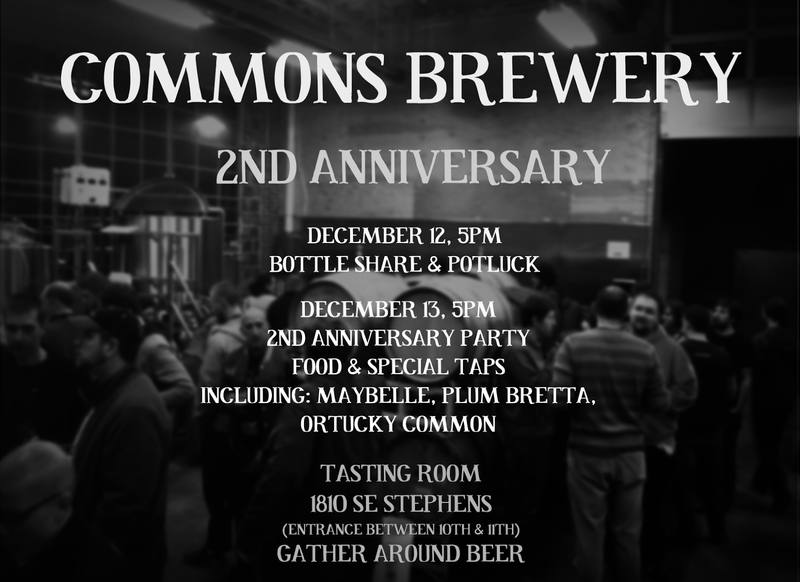 The Commons, one of Portland's fastest growing and renowned breweries, will celebrate its second anniversary next week with a couple of special events. If you value good beer and good times, you'll want to be there. Trust me. First there's the bottleshare and potluck on Thursday evening, Dec. 12. If you attended this event last year, you know it was fantastic. There were countless special beers to taste. At one point, I found myself at the bar sampling a flight of Hair of the Dog Doggie Claws. That's just one example. I expect to see an even greater variety this year. Something to keep in mind is they will expand the party area this year. The brewery space was packed to the gils last year and they have added fermenters and other equipment since. So they expect to use the common hallway, as well as the area they've expanded into behind the brewery. They used this layout for Angelo Brewpublic's benefit event a while ago and it worked well. The bottleshare will be followed by more formal party on Friday, Dec. 2. This time around they will provide food and they will be pouring special and standard beers. 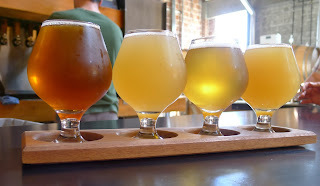 This list includes Maybelle, Ortucky Common (a collaboration with De Garde Brewing), Bourbon Little Brother and more. I missed this party last year and hope to join the fun this time around. What's there to like about The Commons? Besides the great beer, these are good folks. Owner Mike Wright started the business in his garage and has since assembled a uniquely talented team that includes Sean Burke, Josh Grgas and Travis Sandoval. They are knowledgeable and friendly at the same time. But don't take my word for any of this. 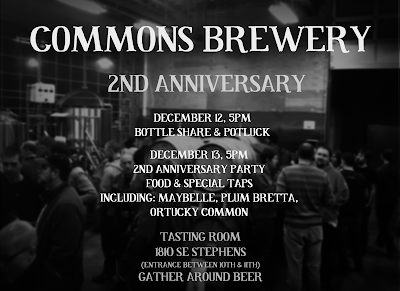 Plan to stop by one or both of the brewery's anniversary events next week. You won't be sorry.